McCurdy standing in the center with Chief Justice of the Philippine Supreme Court Lucas Bersamin on his left and the laureate from Turkey, Faruk Cengic, to his right. 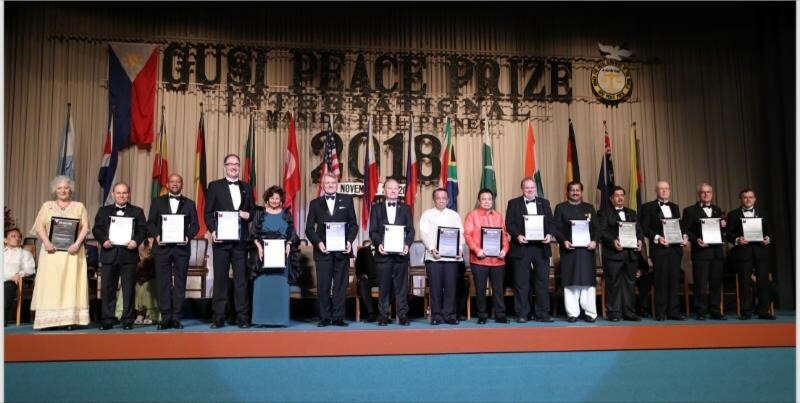 G. Lincoln McCurdy, president of the Turkish Coalition of America (TCA), was one of the fifteen 2018 laureates from 13 countries receiving the Gusi International Peace Prize at its 17th annual awards ceremony on November 28 in Manila, Philippines. The Gusi Peace Prize, established in 2002, is Asia’s foremost award that recognizes individuals and organizations working toward the attainment of peace and respect for human life and dignity. Dr. Yalcin Ayasli, founder and chairman of TCA, stated: "TCA's core philosophy is promoting peace among nations and mutual respect through people-to-people exchanges. We thank the Gusi Peace Prize Foundation executives and the jury for their recognition of this philosophy and our programs that implement it." 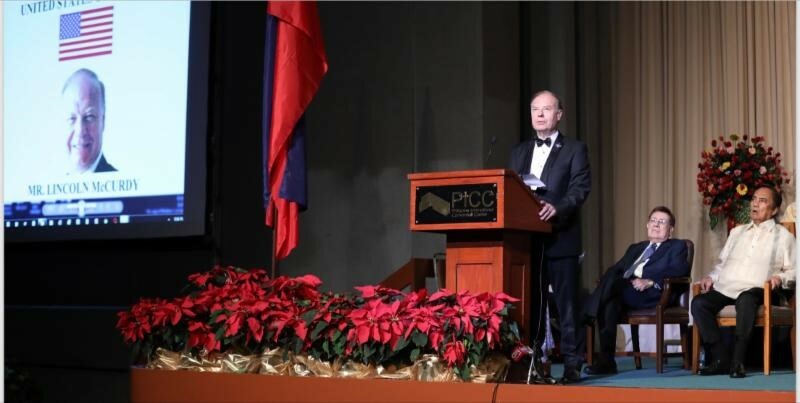 In accepting the award, McCurdy said, ".... as an American who has been deeply involved in building ties between the people of Turkey and the United States, I believe we should cherish the words of the great statesman Mustafa Kemal Ataturk, the founder of the Republic of Turkey, 'Peace at Home, Peace in the World!". McCurdy continued "Our (TCA) programs promote friendship, understanding, and cooperation between the Turkish American community and other heritage communities in the United States and the world..."
On behalf of TCA, McCurdy presented a painting by Turkish artist Ülfet Çökmez, titled Autumn in Anatolia, to the Gusi Peace Prize Foundation’s planned art gallery.